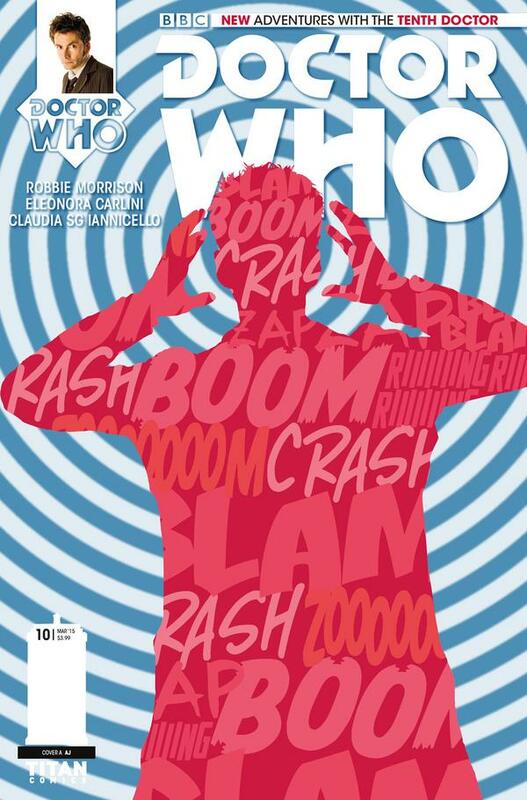 This week sees issue ten of the New Adventures With The Tenth Doctor from Titan Comics. 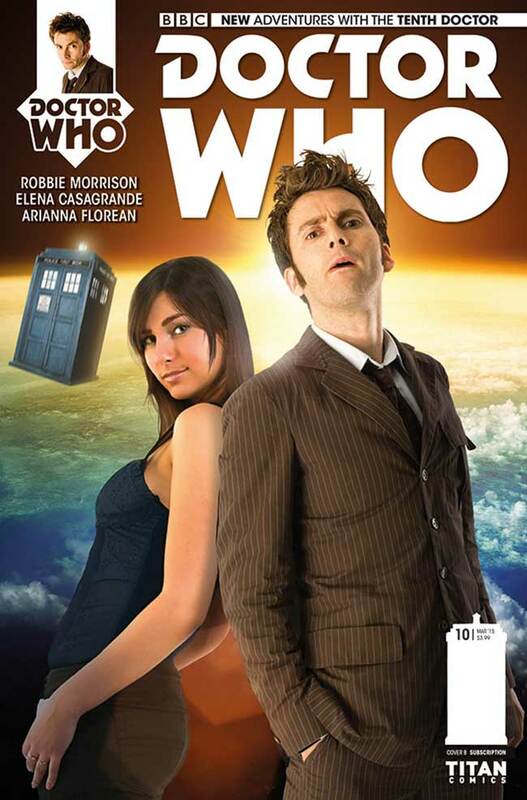 There’s the usual graphic art cover, but I have found a photo variant with another previously unpublished image of The Doctor in his brown suit. Again I think they have plundered the left over images from the joint photocall with Catherine Tate for series four, cutting her out of the picture and replacing her with their own companion! Although the angle of David’s head is different and his had is in his pocket, you can see a lot of the creases on his suit match perfectly. I imagine the image used on the comic cover was original rejected as David is look far too down his nose at us - which is not a good look! The past couple of covers for Titan Comics’ New Adventures With The Tenth Doctor have been a bit disappointing as they haven’t had any photo variants. 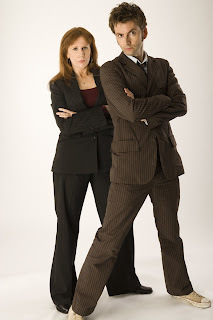 So far the photo variant covers have been a gold mine of previously unpublished images from the Tenth Doctor publicity shoots. 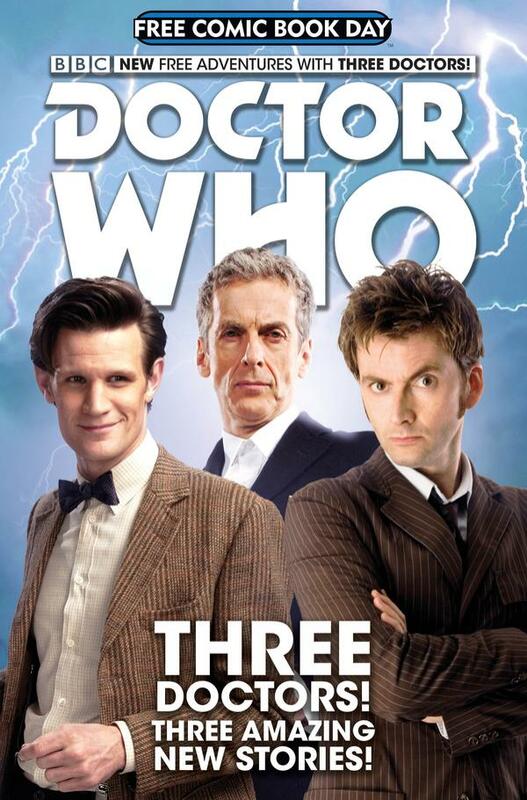 This weekend sees Free Comic Book Day, and there is a special issue from Titan with all three of their Doctors sharing the cover. 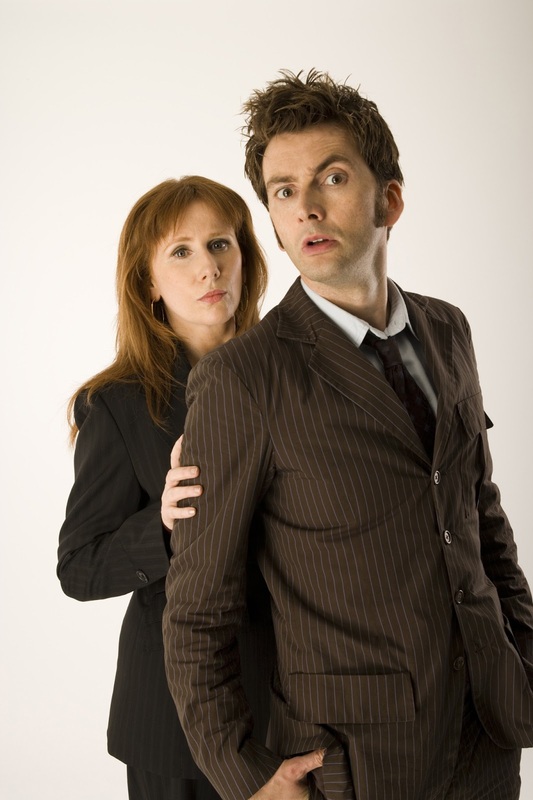 The image of the Tenth Doctor is cleverly cut from an early series four photo, which unedited is shared with Catherine Tate as Donna Nobel. Ironically it was one of the rare times two actors were photographed alongside each other, rather than being shot separately and composted together later. The Titan cover unpicks this!